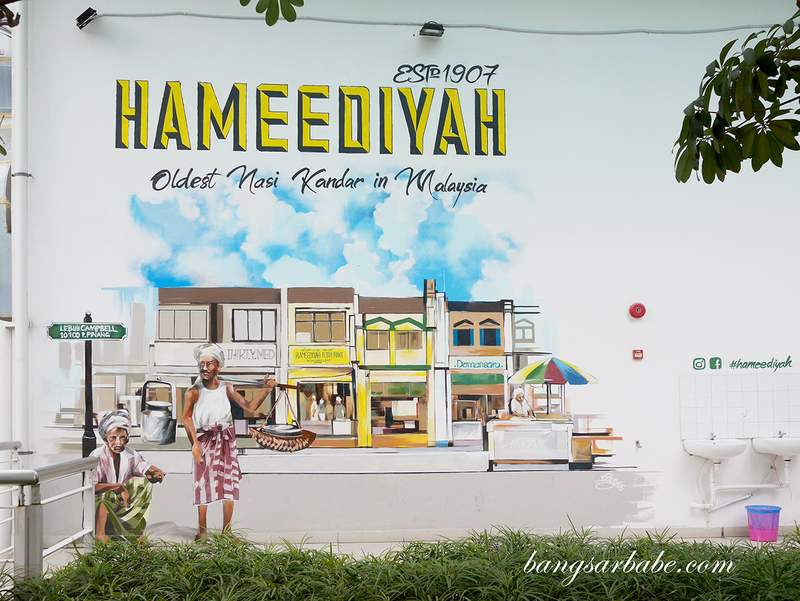 Hameediyah Nasi Kandar in Kota Damansara originated from Penang – an establishment that has been around since 1907 and said to be the oldest nasi kandar restaurant in Malaysia. 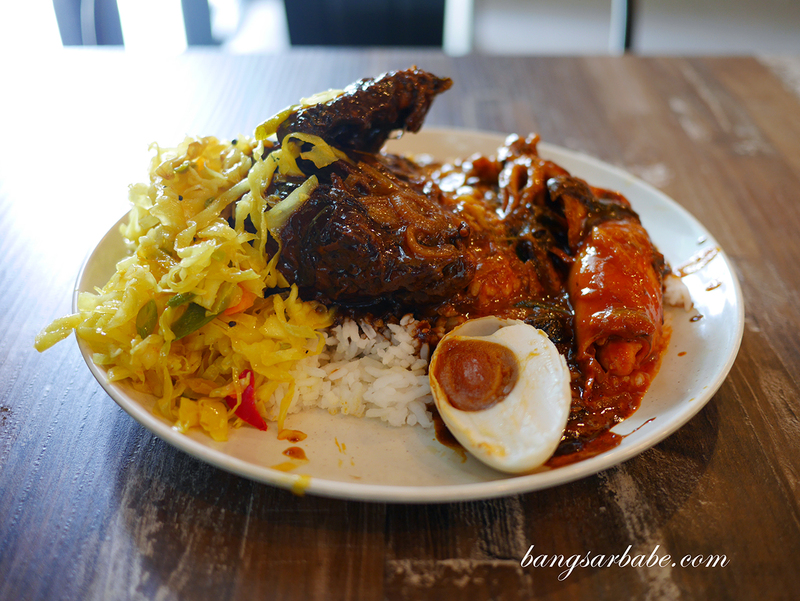 I tried their nasi kandar a few months back when Jien did a takeaway for lunch at home. It was pretty good but I wanted to try the food on the spot to see if it’s worth raving about. There was hardly a queue when I went at 3pm though quite a number of tables were occupied with patrons having their mid-day snack of either rice or mamak grub. 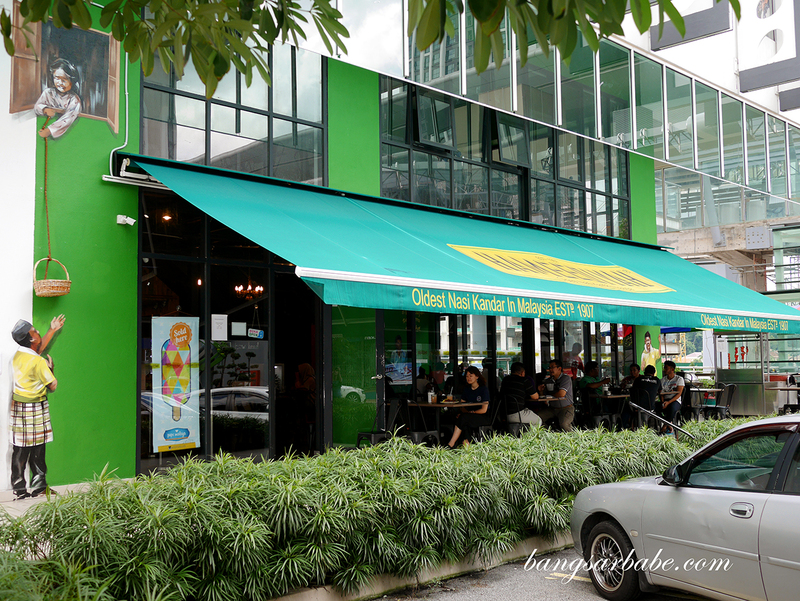 I haven’t been to their outlet in Penang as I tend to go to my favourite spot here, so I’m unable to compare between Hameediyah Kota Damansara and Penang. 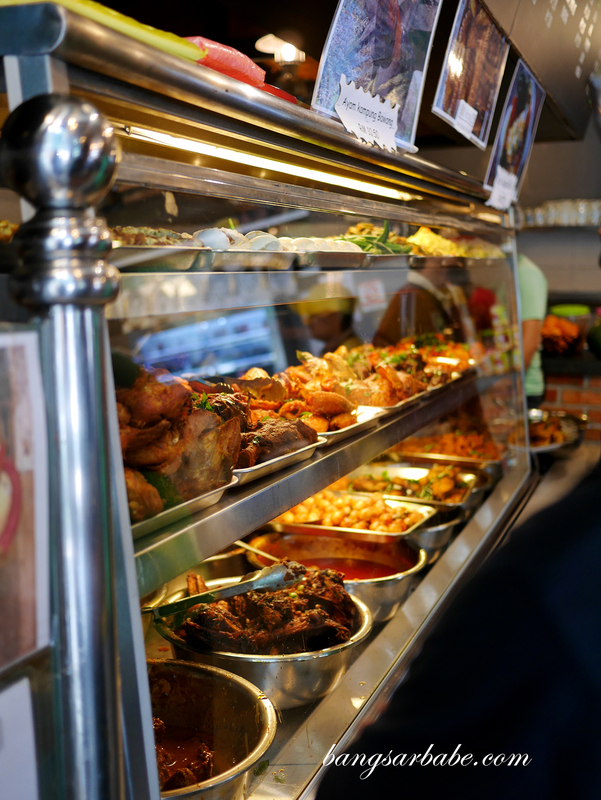 You basically get in line at the food counter and when your turn is up, let the guy know what items you would like in your nasi kandar. 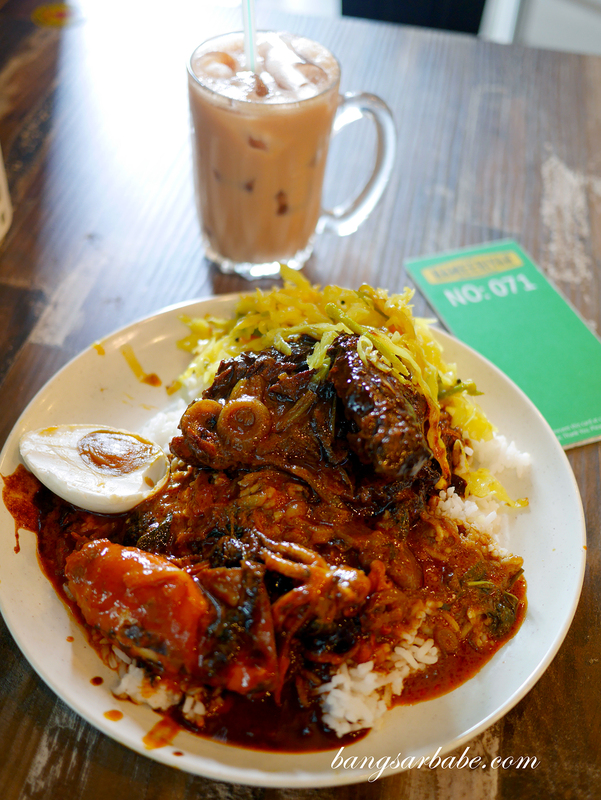 I opted for sambal sotong, ayam kicap, cabbage and salted egg over white rice. 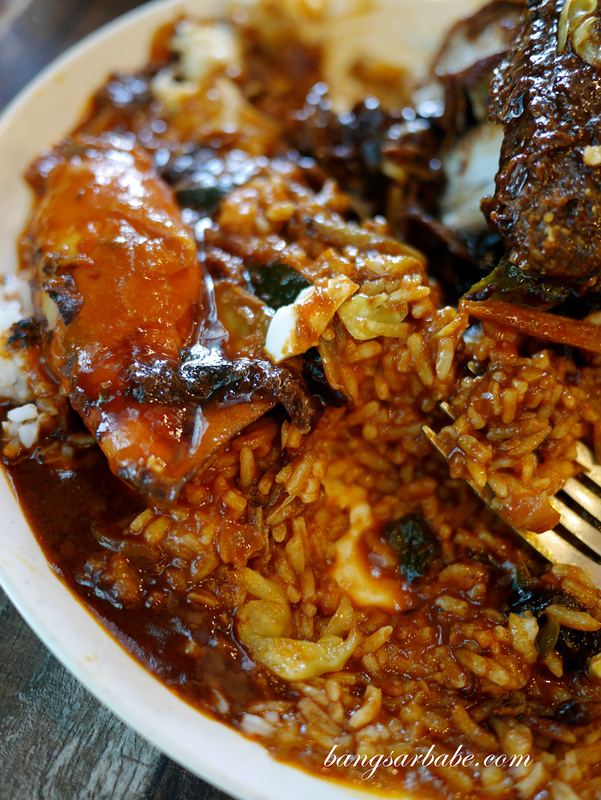 I also got the person in charge of gravy to “banjir” my rice with an assortment of thick curries. That curry combo was good – he was a good curry mixologist haha. 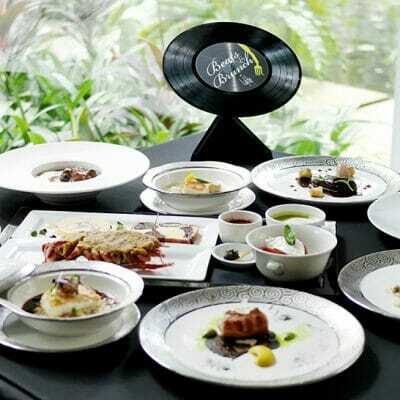 A trick would be to ask them to add more gravy from the sambal sotong as that one packs a lot of flavour. While I didn’t get the part of chicken I want (only breast meat was available), it was still tasty. 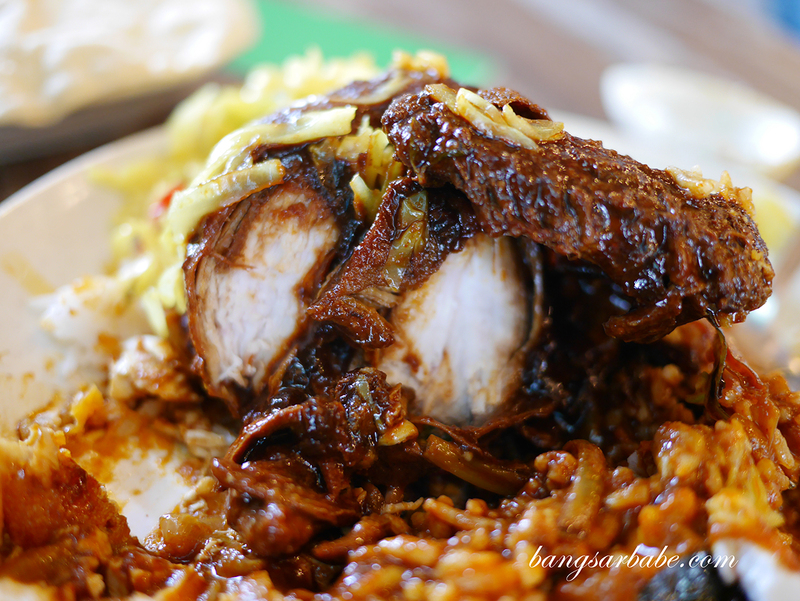 The chicken (RM7) was juicy and tasty from the sweet soy-based gravy, scented with star anise and cinnamon stick. 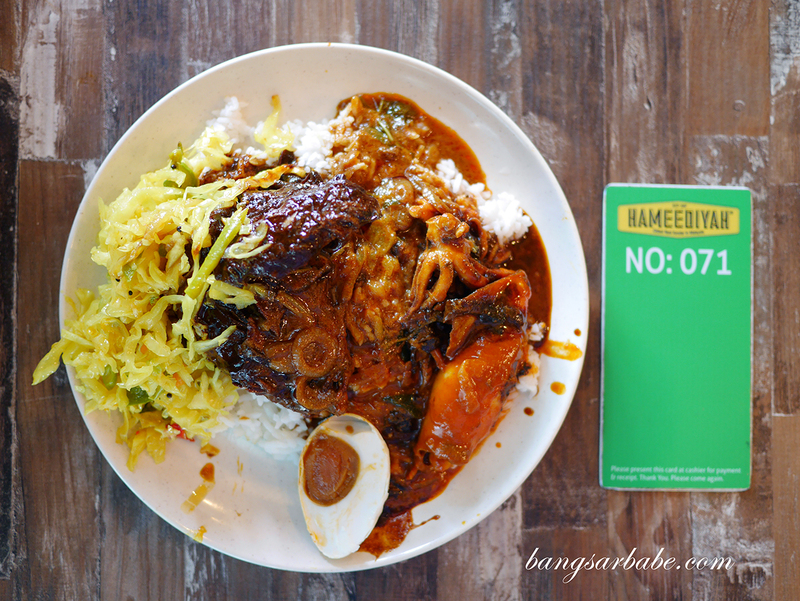 I enjoyed the sambal sotong (RM6) better – whole squid cooked in rich, piquant gravy. This packed a wallop as the squid still retained its tender texture and the gravy had a nice balance of sweet and spicy. You wouldn’t feel the heat until mid-way through, when sweat starts to trickle down the forehead from the chilli and spices. Murtabak seems to be a popular order at Hameediyah Nasi Kandar; I spotted quite a few tables ordering the chicken version. While eating my nasi kandar, one of the staff came over with a small plate containing quarter a murtabak, complimentary. 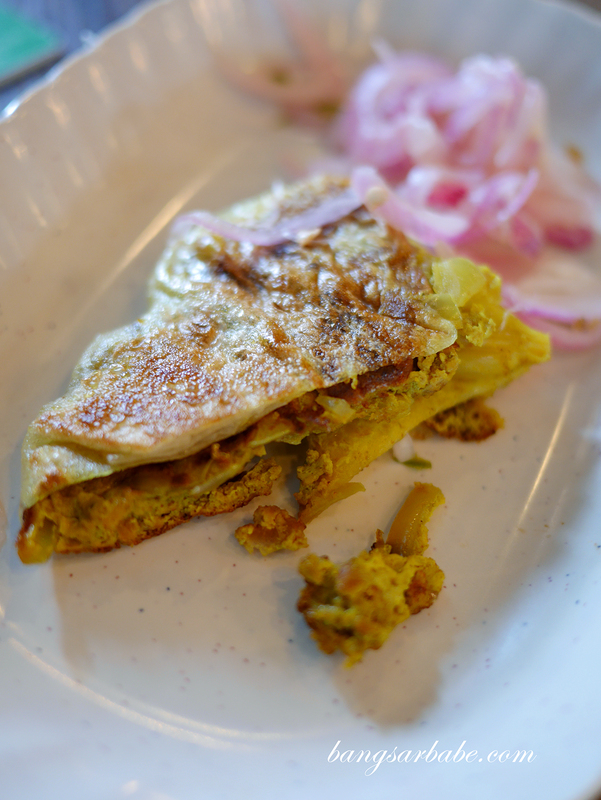 This was served with some pickled onions, which complemented the murtabak flavour nicely. 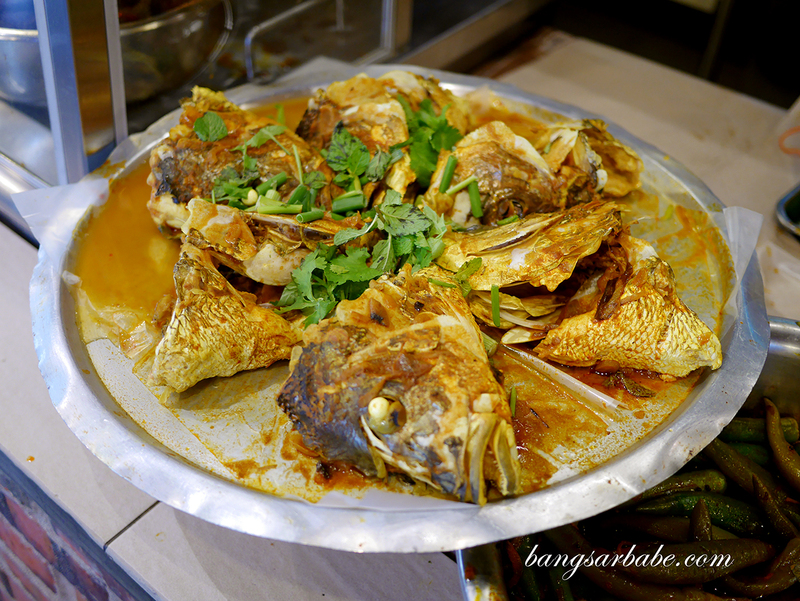 Fish head curry is also available at Hameediyah Nasi Kandar, though I didn’t get to try any. 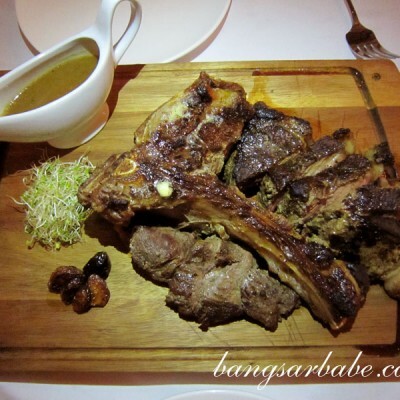 If you’re dining in a larger group, I suggest you order a bit of everything on separate plates to share. 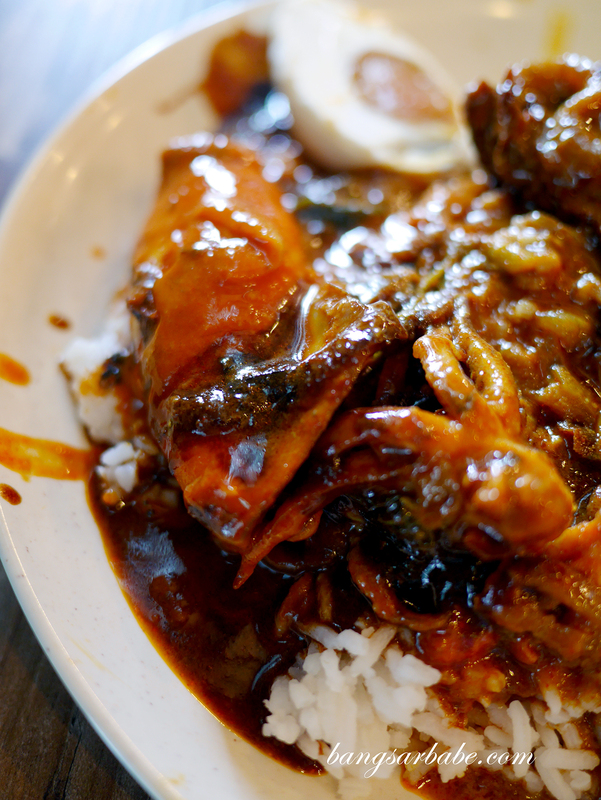 Otherwise, you won’t go wrong with ayam kicap and sambal sotong. And don’t forget the salted egg! Food at Hameediyah is slightly pricier compared to Line Clear in Kampung Baru. My meal was RM22 inclusive of one teh ais (RM2.80) and GST. 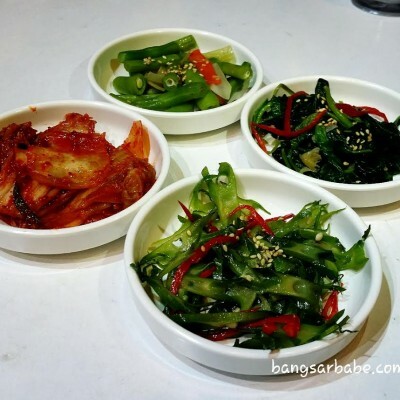 Verdict: I found the food pretty commendable, especially the sambal sotong.